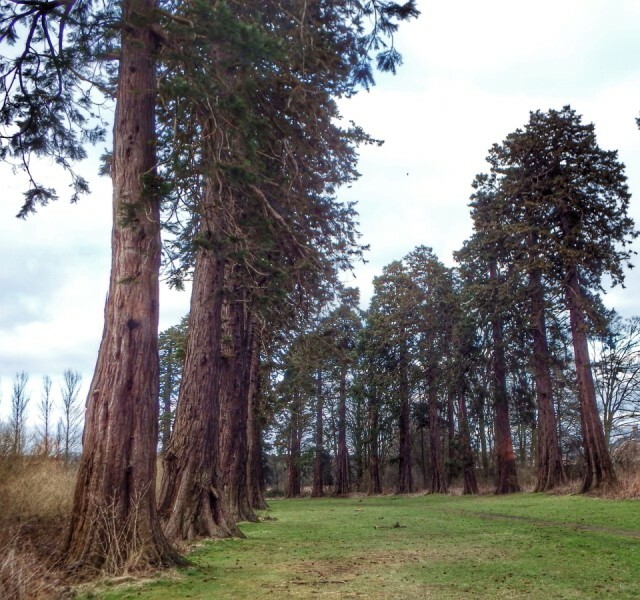 An avenue of Giant Redwood trees adjacent to the Primary School in Inchture, a small village. It is 11 miles from Perth itself on the A90. You will find this incredible avenue of Redwoods 25 on one side, 16 on the other. 41 in total. There is also a plaque showing the Perthshire Journal from August 1853 telling of Redwood being planted all throughout Perthshire.